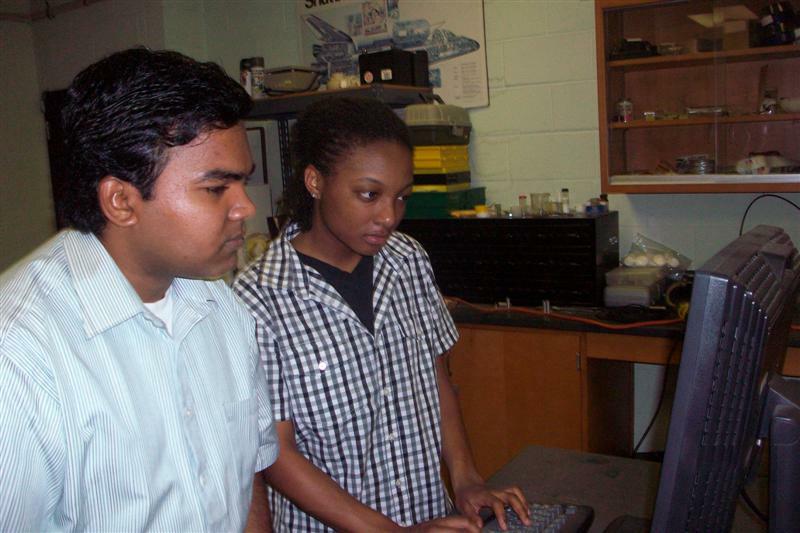 A total of six students are participating in this summer’s internship program in astronomy funded by the NSF PAARE program awarded to SC State. Four of the students are Tier I (Beginning) researchers and two are Tier II (Experienced) researchers. The Tier I students are in residence at SC State from May 31 through July 23. They include physics majors Charles Kurgatt, Alexis Pryor and Byran Pugh as well as Edwin Mainia, a dual math and computer science major. They began the summer with an overview of the field of astronomy then moved on to team research projects. The team of Mainia and Pugh are modeling photometric light curves of RV Tauri and Semiregular variables. Kurgatt and Pryor are studying the spectroscopic nature of these same variables. The Tier II students Eva Nesmith and Jared Lalmansingh are spending the summer at NOAO in Tucson working under the tutelage of Dr. Steve Howell and Dr. Ken Mighell. Their work also concentrates on photometric and spectroscopy properties of variable stars. 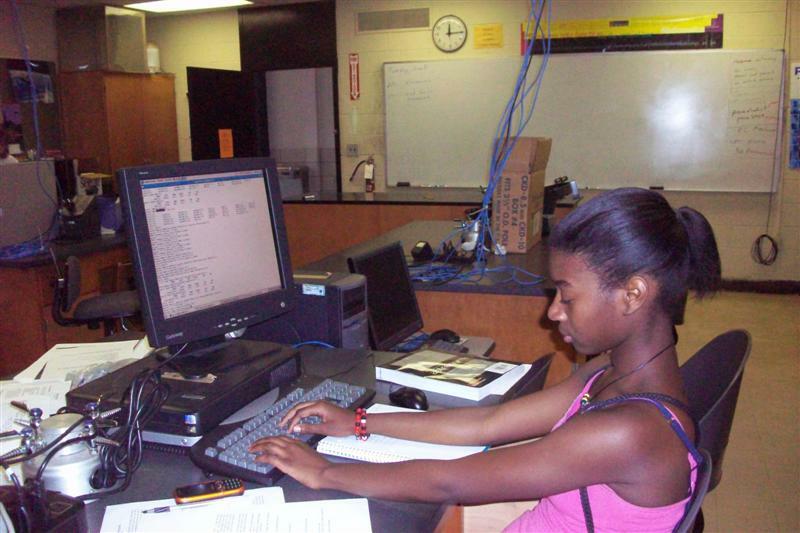 Eva is a rising senior math major at SC State and was part of the POCA Summer 2009 internship program. 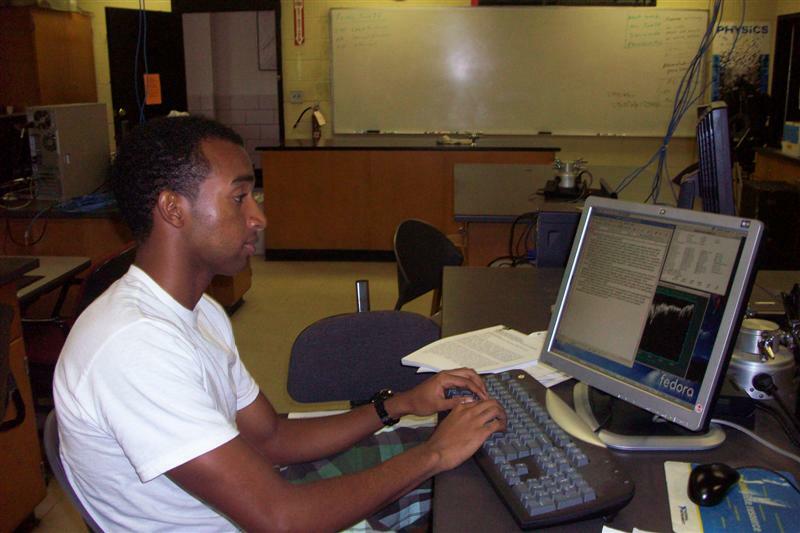 Jared is a rising senior physics major at SC State and was also a 2009 participant in the POCA summer program. RV Tauri stars taken with the Coude Feed telescope. 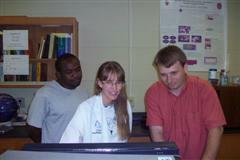 Alexis Pryor prepares a report on her research. prepare for their summer research prior to their departure for Tucson.